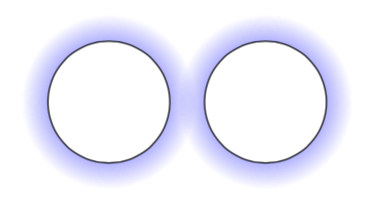 How to make the overlapping shadows from circles look more natural? I'd use fadings instead of shadings for that. EDIT: It might be advantageous to construct the ring in a slightly different fashion that avoids drawing a white disk. Not the answer you're looking for? Browse other questions tagged tikz-pgf shading or ask your own question. How to draw irregular shapes inside each other?